Are your keys looking a bit plain? Do you want something to bring them to life? 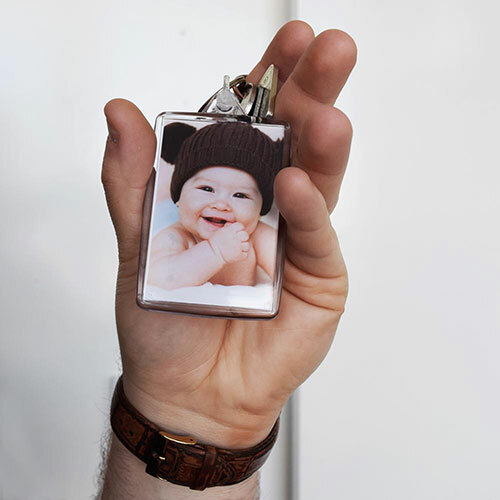 Then how about a personalised keyring featuring your favourite photo! 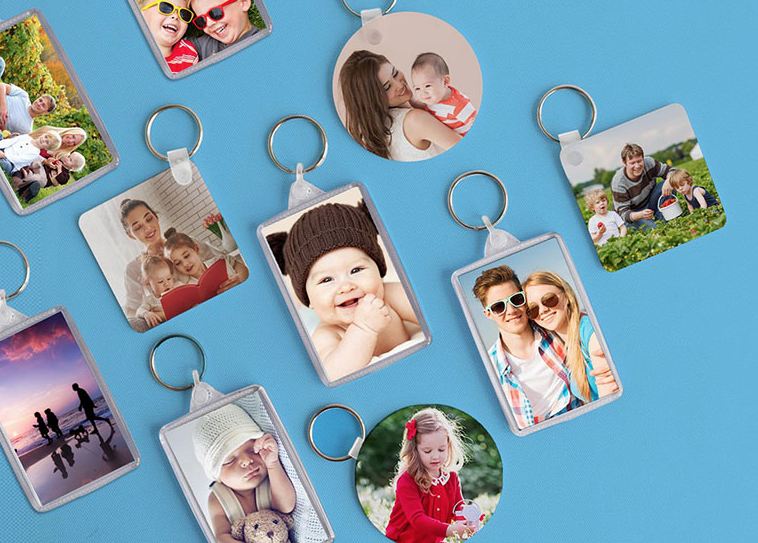 It really couldn’t be easier than simply uploading your chosen image, picking the style of keyring you want, and we will do the rest. Sit back and relax while we produce and dispatch your order. You can even order on the go with your mobile, perfect for uploading any snaps you’ve taken recently and fancy printing on a cute little keyring. Which keyring do I choose? You have a choice of either our classic keyrings or our premium keyrings. Your photo will be printed both sides with both types of keyrings. You can also choose to print it in black and white or colour. Our classic keyrings are a rectangle shape and can be purchased as singles, or in multipacks of 2 or 3. Ideal for if you want one for yourself and a couple of others to give as gifts. 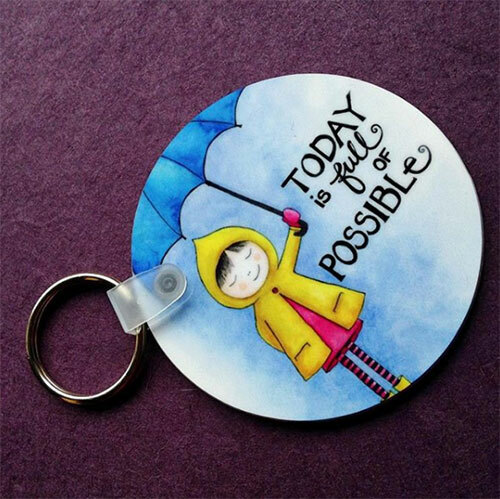 Our premium keyrings are made from acrylic and come in either square or circle format. They have more of a gloss finish when compared to the classic keyring which encases your photo with a thin piece of plastic. Both are hardwearing and durable so will stand the test of time. So why not brighten up a boring set of keys today with a fabulous personalised keyring. Whether it’s as a treat for yourself or a for someone else, it’s guaranteed to make them smile. It is a small yet thoughtful gift idea that also makes finding your keys that little easier when they’re stuck right at bottom of your bag. Upload your photo today and create your very own keyring that you can treasure for years to come.